Barbiturates and alcohol have similar effects in the central nervous system as they are both categorized as “depressants” or brain relaxers. When alcohol and barbiturates are ingested they can be lethal as the combined effects lead to toxicity. People who use barbiturates for pleasure expose themselves to various health issues and when combined with the intoxicating effect of drinking it can cause complete inhibition of nervous functions. Similar conditions can be experienced in steroids, antihistamines, sleeping pills, and others. 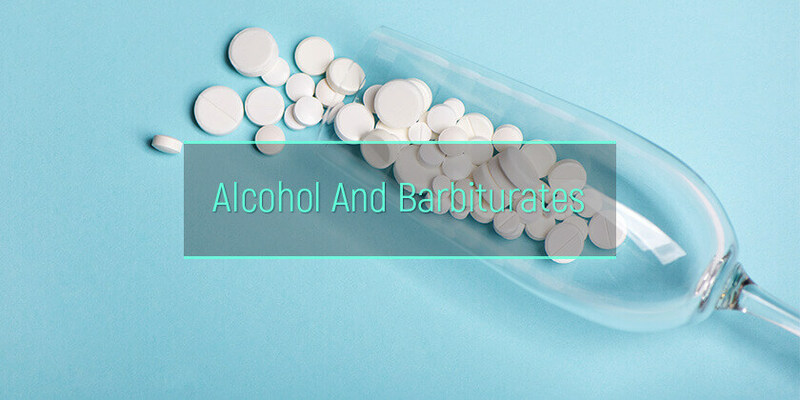 Barbiturates and alcohol retard the functions of the nervous system, causing the user to go into altered levels of consciousness, dizziness, and lack of coordination. The effects of drugs and alcohol vary with their potency and mechanism of action in the body. What are the health implications of these mixtures? How does a combination of barbiturates and drinking affect health? What is the statistics of barbiturates and drinking mix? What are the signs that a person abuses barbiturates and alcohol together? 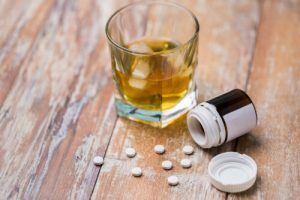 Are barbiturates used for alcohol withdrawal? The impairment of brain functions caused by phenobarbitol and alcohol can lead to the inability of the brain to react to internal stimulus. Activities such as breathing, pumping of blood from the heart and other automated bodily functions slow down leading to possible hypovolemic shock, coma or death. Barbiturates consumed with alcohol can inhibit pathways responsible for certain homeostatic conditions in the body. possible problems are impotence( in men), Irregular menstrual cycles (in women) and respiratory infections. Barbiturates and alcohol create an effect that is similar to a “high”, only more extreme and can cause addictions to these substances due to tolerance build. Alcohol abuse increases tolerance to barbiturates because both ethanol and barbiturates are enhancers of inhibitory GABA receptors and are both depressants. It is found that an increase in ethanol tolerance often leads to an increase in the dosage of barbiturates required to attain the same level of “high”. Withdrawal from heavy barbiturate or alcohol can cause fatal seizures, tremors, convulsions, and possible delirium tremens. Barbiturates have similar or worse effect with alcohol as some other CNS altering drugs such as Celexa and alcohol. Barbiturates are usually prescribed as anxiolytics, anticonvulsants, and hypnotics in low dosages as they are extremely potent and an overdose can easily occur. Often times drug addicts ingest barbiturates to counteract the effect of stimulant drugs, to create a calming sensation. Alcohol and inhalants are often used alongside as well. The ten-year toxicological report shows that as small as 0.5mg of barbiturate (secobarbital) ingested with 1.0 ppt of alcohol in the blood can lead to death. Another study found that 11% males and about 23% of females that use barbiturates as a sedative or for pleasure die by suicide. Alcoholism, on the other hand, has an annual statistic of 88,000 deaths (according to the NIAAA), making it one of the leading causes of deaths in the US. Individuals who indulge in one or both of these substances are prone to taking health risks such as driving while intoxicated, engaging in assaults and physical aggression, as well as suicidal behaviors. Teenagers are more exposed to these substances and often obtain them illegally from friends or on the streets. Phenobarbital for alcohol withdrawal has been tested and proven to be quite effective for alcoholism withdrawal, especially for individuals that are suffering from extreme alcohol withdrawal symptoms. Phenobarbital use for alcohol withdrawal reduces respiratory depression and prevents seizures which are prominent symptoms of alcohol withdrawal. The inhibitory GABA receptors are deregulated and suppress brain functions. The high levels of ethanol in the blood increase tolerance and dependency which causes various negative neurological effects when withdrawn from. Barbiturates function as anti-epileptic controls and can be administered orally or intravenously. Depressants in combination with alcohol barbiturates are extremely toxic however barbiturates can serve as very an effective medication for alcoholism withdrawal symptoms. Baclofen and alcohol mix is also dangerous, although this medication is sometimes used to cope with withdrawal symptoms. However, these medications can be administered only under the medical supervision. The attempts to self-medicate alcohol withdrawal with barbiturates or any other medications can lead to severe health complications. These factors are important to further medication and the recovery process. Barbiturates and alcoholic beverages can cause irreparable changes to the CNS and require extensive rehabilitation program in a well-equipped facility. Treatment programs will include medical detox to eliminate all toxins and metabolites from the system followed by frequent evaluations, medication, and therapy. Aftercare services are necessary in order to check post-acute withdrawal symptoms which may occur in some patients. This condition can occur at any period long after dependency treatment. Signs of this condition may include cognitive impairment, extreme depression, mood swings, anxiety, and others. Barbiturates and alcohol beverages are both toxic, dangerous, and can cause addictions. When combined, they are fatal and can cause irreparable damages even in small quantities.